Two graduate students will use satellite and remote sensing data in new research projects exploring oyster reefs and storm impacts on the North Carolina coast. They were chosen in a competitive fellowship program supported by North Carolina’s Space Grant and Sea Grant programs. Both are federal/state partnerships. The National Aeronautics and Space Administration hosts the Space Grant network, while the National Oceanic and Atmospheric Administration houses the National Sea Grant College Program. 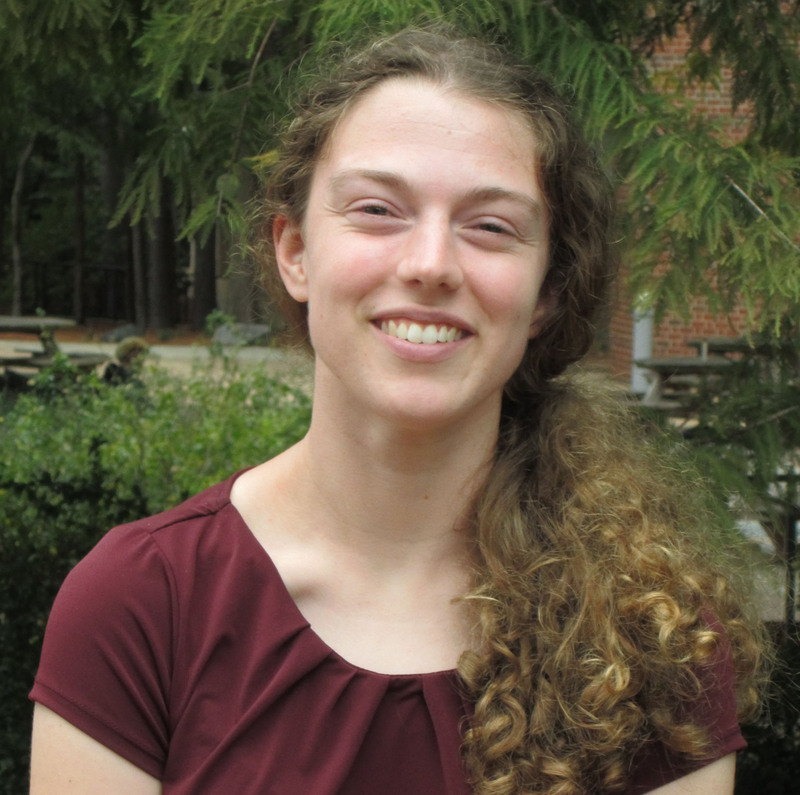 Anna Windle is a master’s student at the Duke University Nicholas School of the Environment, studying coastal environmental management. Her advisor is David Johnston, based at the Duke Marine Laboratory. Windle will assess oyster reef health to evaluate impacts of commercial harvest on reefs. She will work with her colleague, Sarah Poulin, also a master’s student at Duke. “This project will help to inform N.C. coastal managers about the current state of oyster reef health, and ultimately will act as a base level of oyster-reef health imagery and analysis for future studies,” Windle explains. She completed her bachelor’s degree in environmental science at Washington College in Maryland. 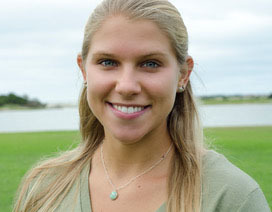 She recently served as a research intern with Duke University’s Marine Robotics and Remote Sensing Lab in Beaufort. Currently, she is president of the Duke student chapter of The Coastal Society. She is originally from Elkton, Maryland. Laura McGee is a doctoral student at North Carolina State University, in the Department of Marine, Earth, and Atmospheric Sciences. Her advisor is Ruoying He, director of the Ocean Observing and Modeling Group. McGee will research hurricane impacts on phytoplankton blooms and air/sea carbon exchange off the North Carolina coast. “My work will quantify the two competing ways that hurricanes move carbon between the atmosphere and the ocean, and will shed light on the role of hurricanes on ocean acidification and climate change,” shares McGee. McGee completed her bachelor’s degree in physics at the University of North Carolina Wilmington. Recently, she worked with the Scientific Research and Education Network (SciREN) to publish a lesson plan as well as work with teachers. In addition, she also has participated in several educational outreach efforts through NC State. She is originally from Winston-Salem. North Carolina Space Grant is a consortium of academic institutions working together to promote, develop, and support aeronautics and space-related science, engineering, and technology education and training across the state. Partnering with NASA, industry, nonprofit organizations, and state government agencies, Space Grant conducts programs designed to equip the current and future aero/space workforce in North Carolina. Learn more at ncspacegrant.org. North Carolina Sea Grant provides research, outreach and education programs on a wide variety of coastal and watershed topics. The program has headquarters at NC State University, and also has three coastal offices. Learn more at ncseagrant.org. Note to Editors: Requests for additional feature photos of the fellows should be directed to Katie Mosher, kmosher@ncsu.edu.